Get started by entering your information into the Loan calculator >. Select the Real-Time Quote button and your information will processed in seconds. 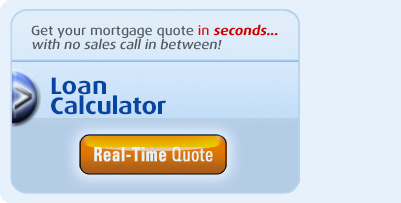 The Real-Time Quote page will open with the list of loan options on the right will be displayed. Find the loan your interested in and select the apply now button. A welcome page will open with a Patriot Act window. Select agree button and a 1003 Application login page will open. Enter your email and create a password. Then just fill out the application the following pages. Average time is 10 minutes. It is a good idea to have all the pertinent details on your income, current loan amount (if you have one), credit card balances, etc. Your secure information will be processed promptly and one of our qualified Kal Financial Team loan experts will contact you. We will give you a status on your loan application. If all the disclosures and items are met, your experienced Kal Financial Team loan expert will submit your loan application to the automated underwriting application. This underwriter will issue a complete review detailing what is necessary to complete the transaction. Once the approval is issued, we will order an appraisal from one of our preferred appraisers. The appraiser’s contact info will be e-mailed to you and the appraiser will contact you shortly to set up an appointment. Once the appraisal is received, it and the loan are submitted for final approval. The final approval will then be issued within 48-72 hours. Final approval. Once the final loan approval is received from underwriting, there is one last review for any additional items required. After that, we can draw your final loan documents for signing. Sign final loan documents. After your final loan papers have been drawn, an estimated closing statement will be sent to you for your review. The closing statement details all of the distributions to be made through the loan as well as any cash to you. A notary will contact you to schedule a time to bring the loan documents to your home or office to complete the signing at your convenience. Congratulations! Your Kal Financial Team loan is funded! 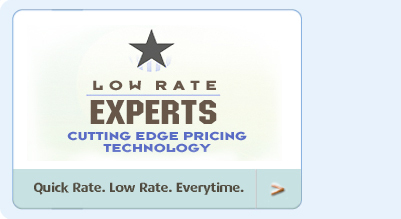 If you don’t want to use the online quoting system and need a one on one assistance, please call 877.271.4212 now. A qualified Kal Financial Team loan expert will guide you through the entire loan process. © 2018 American Financial Network, Inc. doing business as Kal Financial is licensed by the California Department of Business Oversight under the Finance Lenders Law License 603J875 and holds a CA Bureau of Real Estate, Real Estate Broker’s License 01317581 under Nationwide Mortgage Licensing System (NMLS), unique identifier of 937156. Broker is performing acts for which a license is required. Refer to nmlsconsumer.org and input NMLS #237341 to see where AFN is a licensed lender. This is not an offer for extension of credit or commitment to lend. All loans must satisfy company underwriting guidelines. Not all applicants qualify. Information and pricing are subject to change at any time and without notice. The content in this advertisement is for informational purposes only. Equal Opportunity Lender. All rights reserved.